Do you like Dr Who? While Martin was in NZ in December I watched almost all of the new Dr Who series on bootleg DVDs. If you are a Dr Who fan you will know what I thought when I saw this photo among the dozens of photos of guitars Martin took in Singapore. 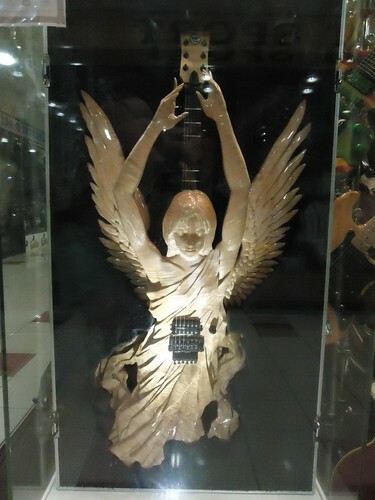 It's the Weeping Angel guitar!